Hotpot simply is the greatest way of eating for all these ten reasons and more. “I don’t like hot pot” – said no one ever. And if they did, they simply have not found out the diversity of hotpot yet. There’s something to love about hot pot for anyone, anywhere. 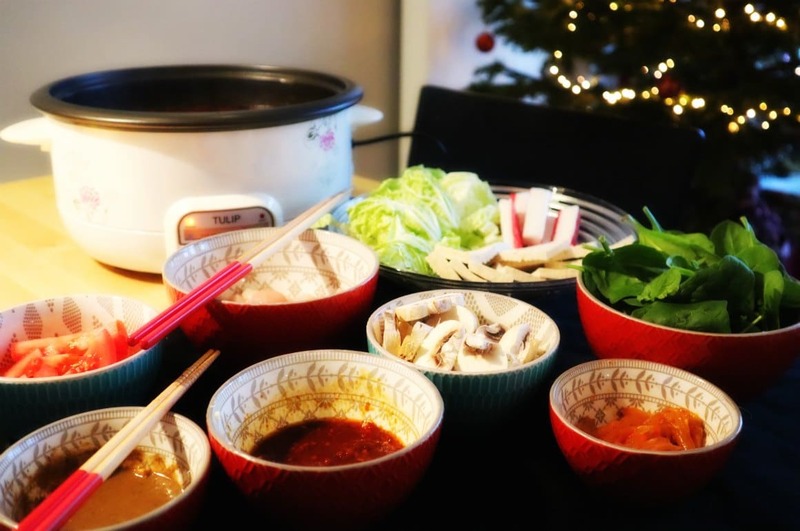 Whether you’re vegetarian, follow a Keto diet, are not into spicy, are a picky eater, or prefer to eat adventurously – there is something for anyone when it comes down to hotpot. There are dozens of ways to eat hot pot, and there is always a way that will suit your needs. The more Northern styles of hotpot focus on light tastes and tender meat, Southern styles are all about fresh seafood, leafy greens, and rich & spicy flavors. 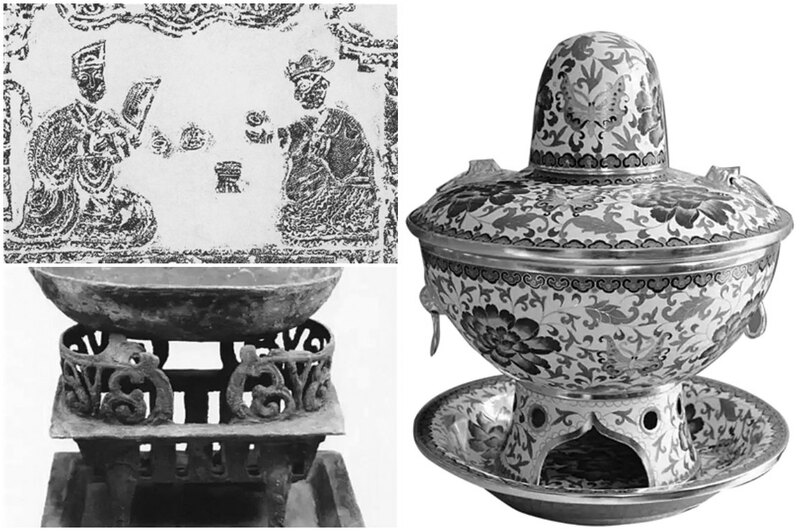 Within China alone, there are already over 30 types of hotpot, which each have their own unique characteristics. 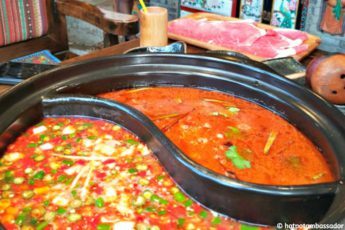 So whether you have a love for tofu, or prefer your meats or rather like some spicy noodles, just see what type of hotpot is the right one for you. Besides the hotpot itself, there are also countless variations in dipping sauces and side dishes. Even for the most picky eater, there will always be something on the table they like. Eating with a group of people can sometimes be a bit awkward, especially if you do not know them very well. 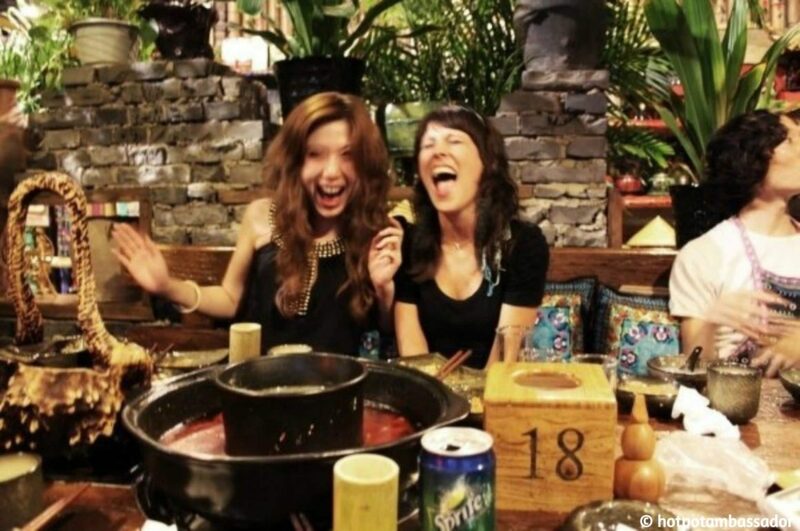 Whereas killing time in between courses and trying to keep conversations going on a table at Western restaurants can sometimes be a bit of a challenge, hotpot is such a social and active way of eating that this problem is automatically solved: hot pot is a natural icebreaker. Getting the ingredients in the pot, letting them simmer, discussing whether or not the meat is ready yet, getting some more sauce, adding some spices, talking about the quality of the vegetables, adding some boiling water to the pot, ordering another Tsingtao beer – hotpot nights just fly by, and the atmosphere is always lively. The pace of the night, and whether or not it takes hours or not to finish a meal is completely up to the people at the table. Ultimately, hotpot is something you do together, and the way the table is set up and the manner in which food is eaten makes it a super social occasion that never gets boring. 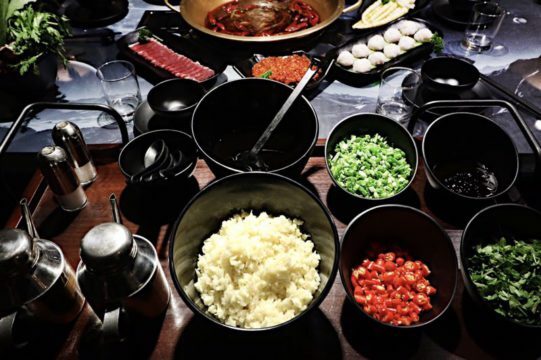 In various ways, hotpot is more than a dish – it is an experience. 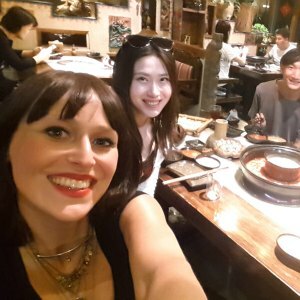 For those unfamiliar with Chinese culture, joining Chinese friends or colleagues for a hotpot dinner can give valuable insights into Chinese culture and the importance of food: the (regional) preferences for certain foods, ingredients, and combinations, and also the conversations and bonding over dinner. 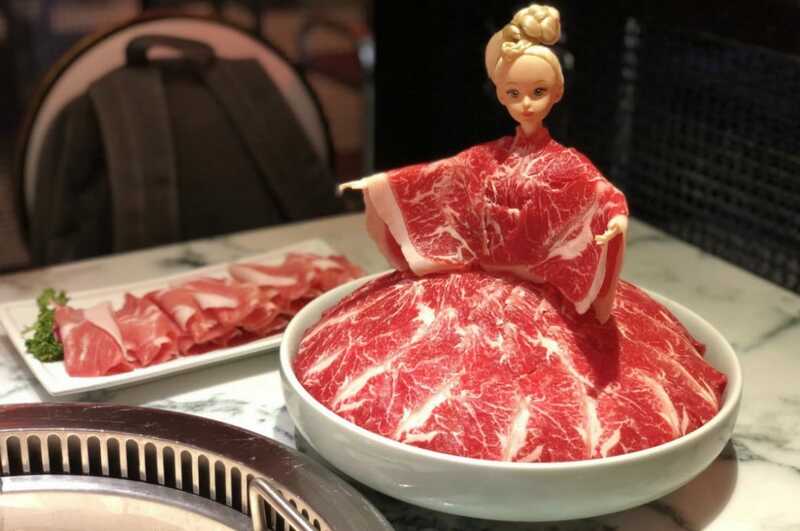 But there are multiple ways in which hotpot is an ‘experience’, as it has become quite literal over the past few years; hotpot restaurants have become so popular in China that businesses will do anything to attract customers to their establishments. 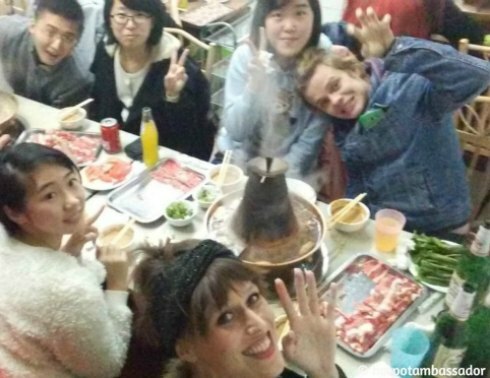 As a consequence, ‘themed’ hotpot restaurants have become quite ubiquitous in China. How about a Hello Kitty hotpot? Or a Cultural Revolution hotpot? 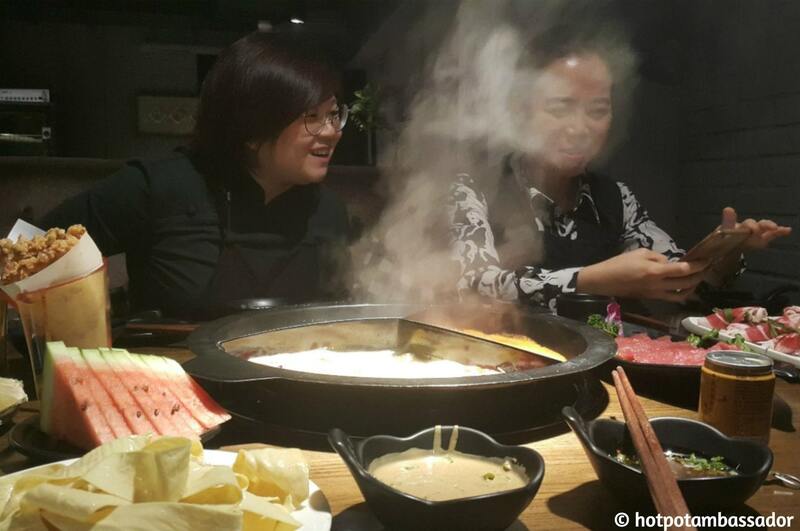 Staff at Haidilao make hotpot an experience worth trying. 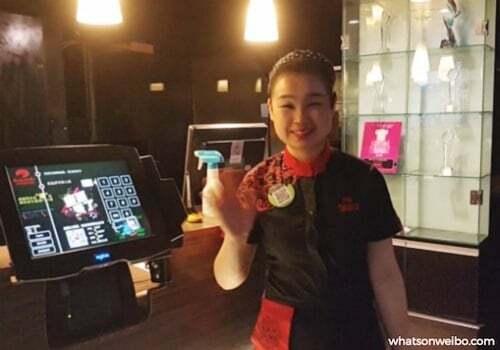 At Haidilao, one of China’s most popular hotpot chains, the staff also do all they can to give customers a true ‘experience’; they offer free manicures while waiting for a table, give out free drinks and snacks, noodle shows, and people can even get a massage. 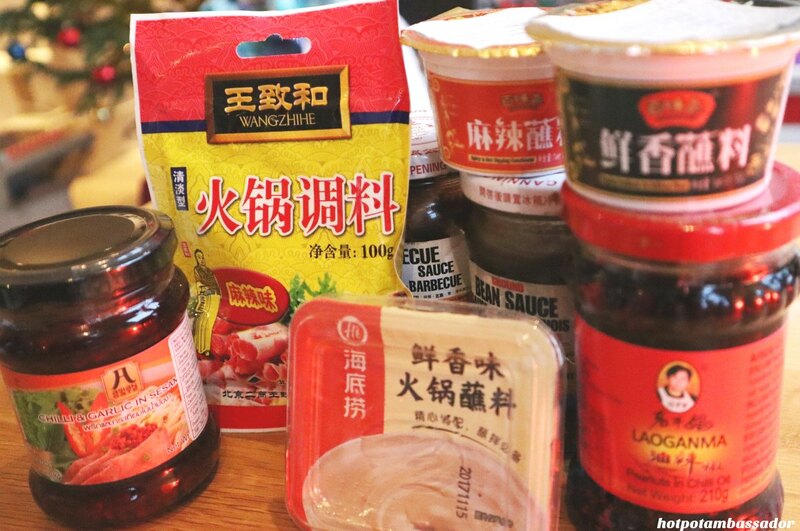 Whether you make hotpot at home, or go out for hotpot, the dipping sauces are always an exciting part of the hotpot experience, because there are just so many options. The importance of the sauces also should not be underestimated: they can make a light hotpot taste richer, can balance a very spicy hotpot, or can add that extra kick to your hotpot bites. Fresh sauces made from scratch at Rock Hotpot. The aforementioned Haidilao chain is a good example of a restaurant that offers a great selection of dipping sauces. Mix your selection of sesame oil, soy sauce, sesame paste, chili oil, and top it with chili flakes, chopped cilantro, scallions, or fresh garlic. There are many options and it’s all about finding out what mix suits your taste. There are many types of hotpot that can be quite adventurous to eat. How about fish head hotpot? Would you even dare (or want) to try dog meat hotpot? How about pork intestine hot pot or a hotpot filled with various types of nutricious insects? Perhaps the biggest adventure in eating hotpot lies in pushing your boundaries when it comes to the spice you can handle. 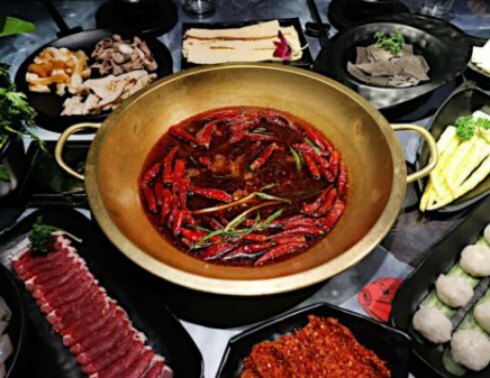 Some of the Sichuan-style hotpots are spicy in multiple ways, since they not only have the fiercely spicy red chilli, but also the numbing Sichuan peppers that will make your lips tingle. For the best spice experience, let the leafy greens simmer in the broth – they will soak up all the spice and will set your mouth on fire. Hotpot is an easy-going and commonly informal dining style, where people usually do not notice too much how much you eat or what you eat. You do not need to feel guilty for eating ‘too much’ or ‘too little’ and also have a certain control over the things you eat. Although the guests at the table will surely also put some food on your plate, you do not really need to eat that duck blood clot if you do not feel like it, and instead can dig into the mutton or tofu, if that’s more your thing. 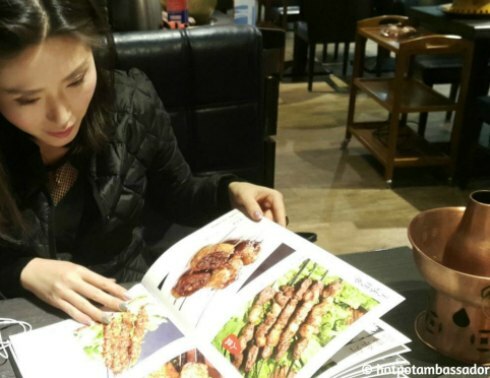 Compared to many other restaurants, hotpot restaurants are usually very wallet-friendly, and making hotpot yourself at home also does not need to be very costly. The general rule is; the more guests at the table, the less you will end up paying per person if you ‘go Dutch.’ At some very good hotpot restaurants in Beijing you can expect to pay around 100-120 yuan (±$14-$17) per person if you are with more than five or six people. If you are alone or in a small company, you can also decide to go to one of China’s many single hotpot places, such as Shabu Shabu, where everyone gets their own little set of hotpot and ingredients, often starting around 30-35 yuan ($4-$5) per person for a complete little set including some meat, vegetables, and dipping sauce. Although hotpot can be eaten all year round, it is especially nice during those cold winter days to warm up the body (and the soul). The steaming broth and strong spices bring warmth to the body. If your nose is blocked during winter, the chili and other spices can also actually help to reduce nasal congestion. Preparing hotpot at home, depending on how much you want to prepare from scratch, can be surprisingly easy. There are some great ready-made hotpot broths and sauces available for purchasing (we’ll list them on our products page), that can be up on the table within minutes as the perfect base to start hotpotting. 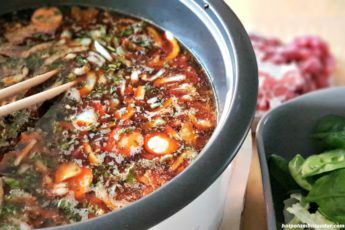 Chopping up some vegetables, slicing some meat, throwing in some chopped mushrooms, etc., will only take minutes and you’ll have a hotpot dinner ready in no time. It is not just the taste that matters when it is about the enjoyment of food; our eyes also play an important role when sitting down for dinner. Besides that it’s tasty, hotpot often is also pleasing to the eye and photogenic. 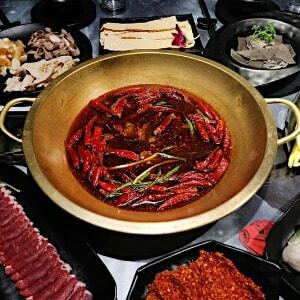 Think of the Beijing copper hot pot and simmering fire, the Sichuan broths with fiercely red peppers, pink meat, yellow tofu skin, and black fungus. Or the Yunnan hotpot with orange broths and bright green mint leafs. It is just such a pleasure to the eye! What’s not to love about it?! ©2018 Hotpot Ambassador. All rights reserved. Do not reproduce our content without permission – you can contact us at info@hotpotambassador.com. 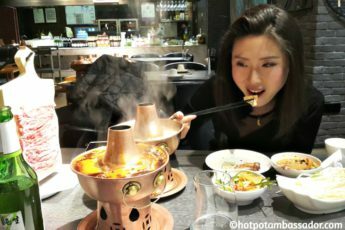 Hotpot Ambassador is run by hotpot fanatic Manya Koetse, China social trend watcher and the editor-in-chief of What's on Weibo. Follow on Twitter here. THE ANSWER TO THE HOTPOT DILEMMA: WHAT GOES IN FIRST - THE MEAT OR THE VEGETABLES? 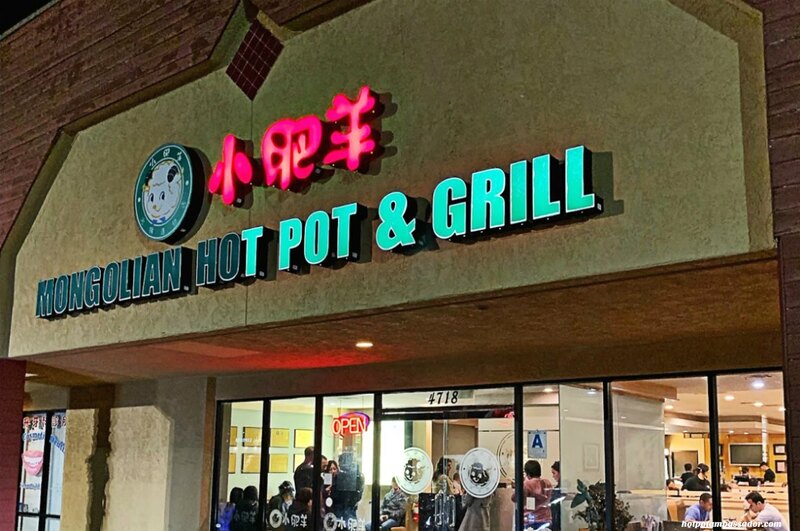 WHAT ACTUALLY IS "HOT POT"? Welcome to Hotpot Ambassador, your online home of hotpot. We cover all things hotpot from the hotpot basics to latest hotpot news. Do you want to contribute, got any tips or inquiries? Contact at info@hotpotambassador.com.